Two big cases in the Boston area making national news are up for discussion on this Power of Attorney show. Nationally known Attorney Marsha Kazarosian hosts the show with special guest, Attorney David E. Frank, former prosecutor and now, an editor for Massachusetts Lawyers Weekly. One case involves an elderly retired dentist acquitted of involuntary manslaughter after feeding weed killer containing arsenic to an infant, thinking the clear, odorless liquid was spring water. And the other story surrounds the death of college student killed by a pepper pellet fired by Boston police into a crowd of Red Sox fans celebrating near Fenway Park last year. It was recently announced that the police officers will not face charges. 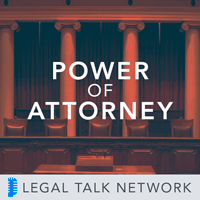 Listen in as Marsha and David sort through the many issues such as the criteria for manslaughter charges and jury versus jury-waived trials.